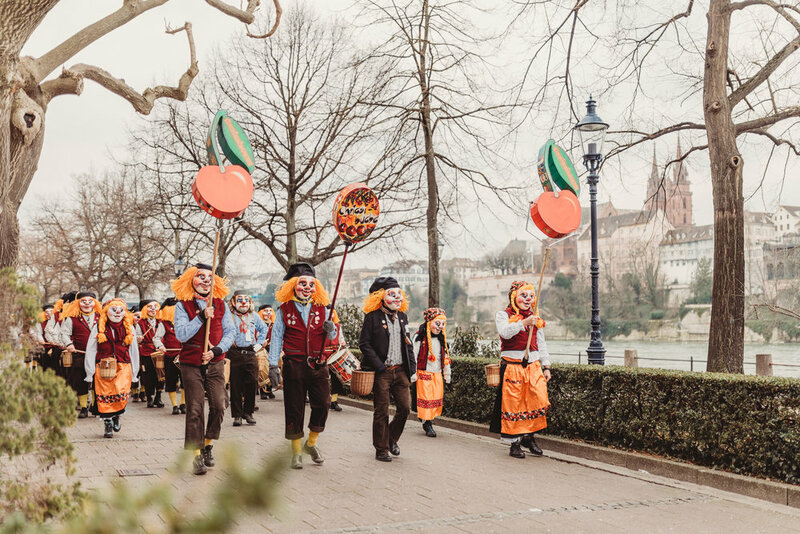 Basel really comes alive during Fasnacht and is one of the most unique experiences to have while in Switzerland. Is this your first Fasnacht? Check out my guide to Fasnacht here. This year, I’m offering Fasnacht Mini Sessions for all those that want to remember this fun and crazy time in Basel! These sessions are perfect for families who have kids participating in the festivities and have a costume, or lovers of the Basler Fasnacht and want to have photo reminders of this unique event. Quality time with your loved one/family to have posed and action shots amongst the colourful and crazy Fasnacht atmosphere. For an extra 70 CHF, you can also receive two copies of a custom designed 16-page magazine. Design your own magazine using my easy-to-use online gallery. To fill your pages you can use the images from your session plus my personal library of Fasnacht pictures to truly capture the essence of Basler Fasnacht. LIMITED sessions available on Tuesday 12th March 2019. I have chosen this date as it is the kids parade and streets are a little less crowded. However, If you would like to have your photo session on Monday or Wednesday, Please let me know so we can discuss options. These spaces won’t last, so please enquire using the form below and I will email you the times available. Please write in the notes if you want a session time outside of Tuesday 12th March.